On December 30, 2014, I embarked on one of the most important climbs of my life . . . Climbing Volcán Pacaya for the second time in a year was no historic climbing accomplishment, but climbing it with my 10-year-old son, Jac -- who is from Guatemala, made this climb especially important. In October I had climbed Pacaya in honor of Jac, his birth mother and our family. 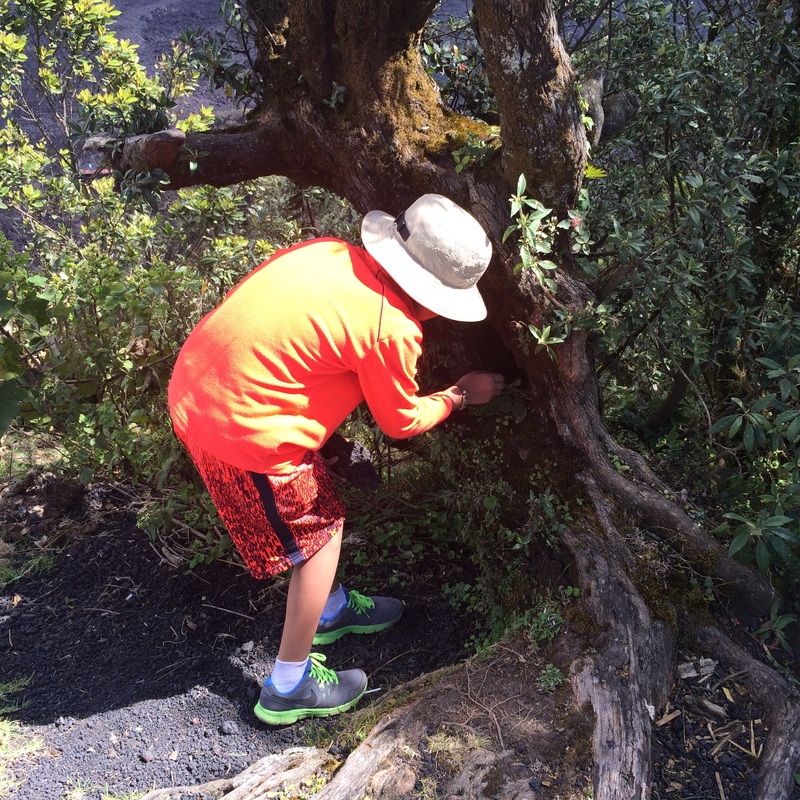 At Jac's request, I hid a small red and yellow marble under a rock, in the crook of a tree, in an oasis, on a ravaged lava dome, opposite the summit of Pacaya. Jac had asked me before I departed on that trip to leave his "circle of love" as a placeholder until he could retrieve it in December. 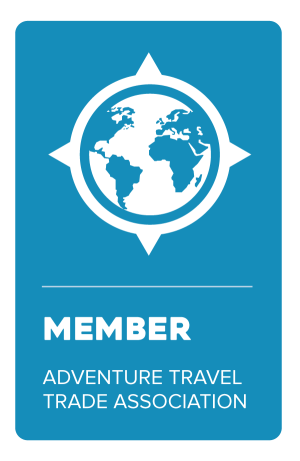 So on December 30th, we (my husband, my 13 year old daughter, our guide and my son) set off on a very important expedition. I plan Heritage Journey's for families with internationally adopted children for a living and this was Jac's first trip back to his birth country since he left Guatemala on December 6, 2004. This was his Heritage Journey. I can identify with the emotions a family goes through when planning a trip of this nature. I understand the questions that play tricks on us . . . What if he likes Guatemala better than Colorado? What if he does not feel the connection with his birth country? Or worse, what if he is singled out as different? What if he wants to find his birth mother although we have explained to him that this isn't what this trip is about? What if he falls apart and I don't know what to do? I know the anxieties associated with this type of travel - this is what I do. And this is my son's journey. I have to get this right. Pacaya is Jac's number one focus for this trip. So I'm playing out two scenario's in my head . . . either we find the marble and all is right with the world, or the marble is gone - it fell pray to the magic of the volcano. Jac seemed especially talkative and clingy the morning of our climb. I knew this day was important for him. Not only was he in search of the marble but he also knew he'd be able to see the town where he was born from the top of the volcano - he had to get there. Jac had been talking about this day relentlessly. Clearly, he was very anxious. I employed my mommy super powers to be patient with him as he acted out and processed the emotions he was feeling. I listened attentively, even when he asked the same question for the 100th time -- do you think the marble is still there? When we arrived at the base of the volcano our guide arranged horses for the kids - which was such a treat for them. The horses were a perfect distraction for Jac - and me! Now I could climb in silence and manifest the marble, in my own head. As was the case in October . . . The sky is blue. The trail is rugged. The mountain is relatively steep, but it is not a long climb. I feel strong. Our odds are good today. The kids are filled with excitement and I am beginning to feel the magnificence of the volcano as we ascend. Worries wash away as I breathe deeply and purposefully. I begin to succumb to the physicality of the climb. All is right with the world. We arrive at the mirador (the overlook) and it is the first time you can clearly see Pacaya's summit and the immense destruction caused by the 2010 eruption. The spectacular lava field is below us and the tree that sits in the oasis, on the ravaged lava dome, where the little red and yellow marble was hidden, is now in view above the lava field. The sight of the tree brings that gnawing ache to the back of my throat. If I think about what this means to my son, I might cry. The sweeping vistas are breathtaking and I can feel the power of the volcano from this vantage point but I know we must move on. I realize Jac is getting anxious again so I prod us forward. The horse brings him comfort as they stroll along, gently swaying back and forth. We descend into the scree fields and as we skip, slide, skip towards the lava field, the horses follow, bringing billowing clouds of black soot, dust and ash down with them. I can already see steam rising from vents in the lava field ahead. As we approach, our excitement builds. Within minutes, we are walking on a lava field! As he did in October, JJ (our guide) brings out a bag of marshmallows and a couple of long sticks. Jo Jo and Jac are enthralled. Roasting marshmallows over a lava vent - how cool is that? I am already scanning the horizon, ready to climb to the ridge above us where the marble should be. I am fixated on the marble but the marshmallow roast is a wonderful distraction for the kids. We depart the lava field and begin the last part of our ascent toward the oasis. This part of the trail is very steep and because the kids are on horseback, they are quickly a couple of hundred feet ahead of us with the guide. As we scramble to the top, I realize the horses pass the tree and it gives me an opportunity to take a peek under the rock, in the crook of the tree where Jac's marble was hidden. There is nothing. The marble is gone. I look everywhere. I dig and dig and pull up the moss that had been sitting so perfectly in the crook of that pretty little tree. Plan B -- my husband had purchased a small carving of Jac's Nahual at a local shop in Antigua. A Nahual is considered a personal guardian spirit or protective alter ego that is often represented as an animal in Mayan shamanistic practices. Jac's Nahual is a Canil (a rabbit). Brad grabbed the tiny carving out of his backpack and quickly placed it in the crook of the tree and covered it with the rock while I called to the kids and the guide to come back. Both kids jumped off their horses and ran down to us when they realized they had gone past the tree. I knew Jac was nervous - I could see it in his face. When he removed the rock there was no marble, only a Canil. Evidently, that tricky little Canil had been hiding in the crook of the tree where Jac's marble was hidden in October. It appears that Jac's Canil took the little red and yellow marble – the magic of the volcano! This was the story that Jac excitedly came to after he found his Nahual under the rock, in the crook of the tree, in the oasis, on top of the ravaged lava dome where his marble used to be. At first, I wasn't sure if Jac would laugh or cry or maybe both. He was disappointed that the marble was gone, but excited to find this new treasure in its place. He held me for a long time and it was clear he was not sure exactly how to feel. As the mother of this beautiful, brown eyed little boy who had such hope, excitement and concern as we climbed this magnificent volcano, I am grateful beyond words for my husband whose forethought saved the day and helped Jac write a legend into his future. The children had created a family flag to hang on top of the mountain to celebrate our accomplishment. Jo Jo climbed the tree where Jac's marble had once been hidden and tied our flag in the branches. Because Jac wanted to keep the carving of the Canil, he asked if we could leave Brad's Nahual (a bird) in its place. He thought if we took, we must give back to this magical volcano – we must continue the “circle of love”. In the future, the next person that lifts that rock, in the crook of the tree, will find a small carving of Brad's Tz'ikin. We hope if they take it, they will replace it with something equally important for the next, and the next, and the next family that visits that pretty little tree in the oasis, on top of the ravaged lava dome, opposite the summit of magnificent Volcán Pacaya. Everyday since returning from our trip, Jac proudly wears the necklace with his Canil around his neck as a reminder of his Guatemalan heritage and our journey to Pacaya. We watched our family flag soar and we celebrated our accomplishments. We held hands and paid homage to the volcano and Jac's ancestors. Again, I whispered to the universe my love and devotion for this beautiful child with his old soul. Again, I asked for forgiveness from his ancestors for taking him from his homeland and I promised my devotion to him always. Again, I whispered to his birth mother how much I loved him and I promised to care for him and love him unconditionally. I did not need to close my eyes to visualize my son standing on top of that mountain looking out over Lake Amatitlán, the home of his birth mother and his ancestors, I could see him standing in front of me beaming with pride. Jac was proud of his accomplishments, of his gift to the mountain, of his heritage. And I was beaming with pride because we are a family filled with love -- no matter what. I felt my family's love seep into my veins. Previously published in Adoption Today May 2015. Jubilee Travel will help you plan your trip to Guatemala.